Reaching 4mm scale in my "Wagon kit in every scale" series posed an interesting problem. 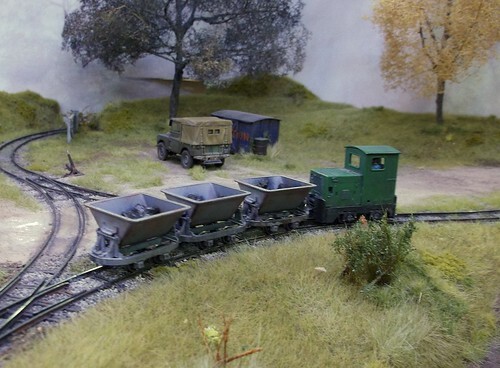 We've built loads of OO wagons in print before, how to make this latest one a bit different? 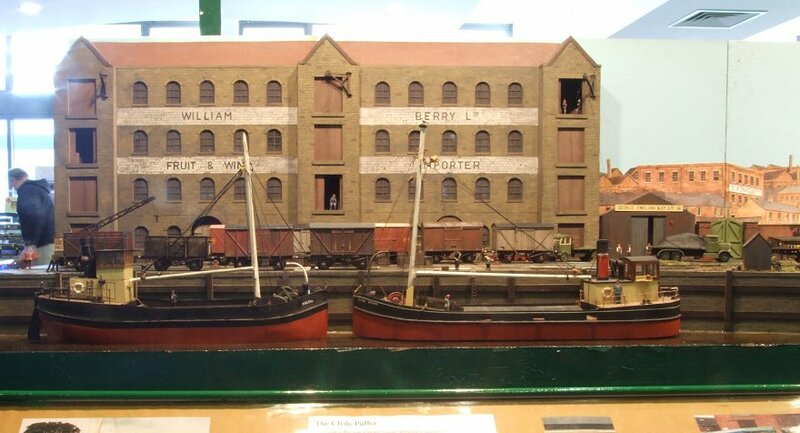 Worse, the 3mm scale model was a pretty conventional Parkside Dundas kit, albeit in an unusual scale. That ruled them out as a supplier this time.Bashing some ideas around the table, the consensus was that a Lowmac would be interesting. The obvious candidate would be a Dapol, ex-Airfix, kit but maybe there were others out there. There aren't. Cambrian make a Loriat but I built one of those for Hornby mag year ago. Pocket Money kits used to produce an etched brass version but the 4mm scale range has long since been discontinued. So, Dapol it was. All I needed was a load. Finding prototype pictures of loaded Lowmacs proved even harder than finding a kit. None of my books, nor the photo library I normally use could help. Fortunately, Tatlow's LNER book had a picture of a damaged wagon hitching a ride on a lowmac predecessor so that's what I went for. 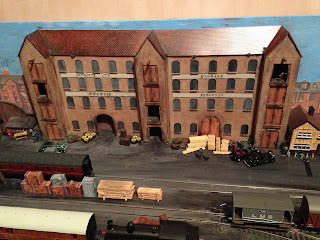 We did end up with some Parkside, the LNER 5-plank with damage came from my kit cupboard. It's been fairly well modified though. 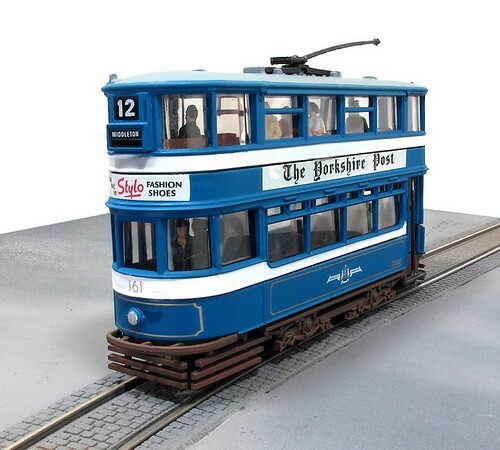 Featuring in the magazine and on the DVD is the tramway layout "Grime Street". If anyone feels inspired to add some tram action to their own model, I've motorised a diecast tramcar. The work isn't particularly difficult and die-cast trams are available second hand for very little money. The worst part of the job is re-assembling the metal bits as they don't go together as perfectly as you might like when poking a camera at them when every joint will show up. On the DVD, I'm looking at the airbrush kit we are offering as a bargain deal. With a small airbrush, compressor, spray cleanup jar and masking tape for under £85, it's a pretty good offer. I've been using the airbrush for real work and it works very nicely. Certainly worth considering if you fancy having a go at spraying. Finally, you get to see Howard and I at the London Toy Fair. As a trade-only event, it's the best way of having a look around and catching a bit of the atmosphere as well as listening to some of the personalities involved with the manufacturer of models. Last week I had a meeting in London. For reasons that need not concern us here, I arrived at the address shown on a document, only to discover that the meeting was in a different part of town. Rushing from somewhere a 10 minute walk from Waterloo to Waterloo, I spotted a fantastic looking warehouse - a real gem. Trouble was, I didn't have time to stop and take a photo. A tube to Mayfair was calling and so idle tourism wasn't on the agenda. 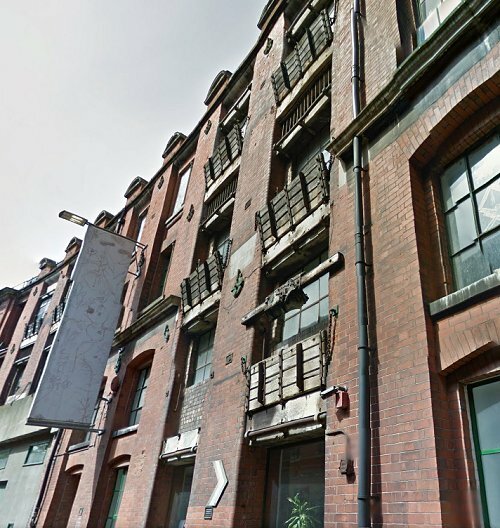 Anyway, I looked up the warehouse on Google Street view and was amazed. Although it's been gentrified a little, there's still a wealth of original features to be seen. The wooden flaps by the loading doors are a rare survivor for a start - common enough in the day but they either disappear or are converted to posh glass edged balconies. 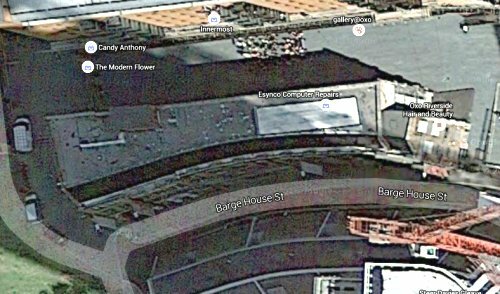 While perusing the Google, I was also struck by how narrow the building is. Maybe it's been shortened, but if so, quite some time ago as the only reason for doing this would be building the OXO building in the late 1920s. Anyway, this week you can easily have a look for yourself - just follow this link to streeview. Oh dear Peco. What have you done? What we find in the kit is a modern(ish) phone more suitable for a 1980s scene. Even the post Button B version with a black plastic phone would have been good. Instead we get one made from stainless steel. Ho hum. I've painted it up anyway. 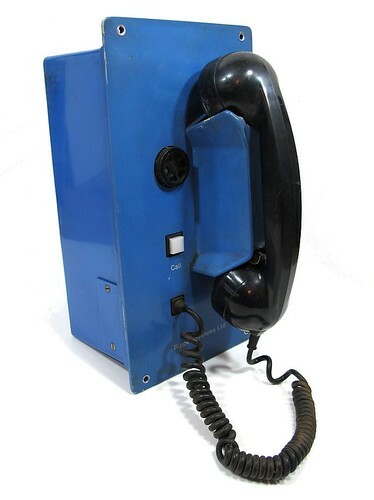 You'll notice the short lived blue handset and black plastic buttons. The later were quickly replaced with metal versions when it was found that addicts were setting light to them and sniffing the fumes. What you can't see properly in the photo, but is there in real life, is glazing sheet stuck inside the windows. Peco have been generous with this with 2 sheets, enough for 3 boxes in the kit. I've stuck it in with a couple of drops of plastic cement and then flooded the top and bottom with liquid glue, letting capillary action take it everywhere required. Another mystery though is why no floor is provided. Cutting a piece of 2mm thick plastic isn't a problem and there are even suitable slots for it to lodge in, but nothing on the sprue. 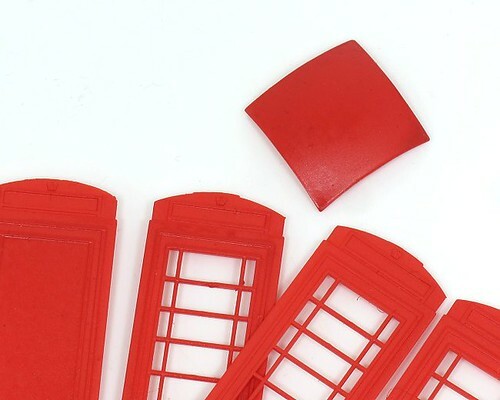 I've always had a thing for red telephone boxes.I love the idea of a standard building dotted around the countryside, and of course they are now indisputably vintage now we all have mobiles. 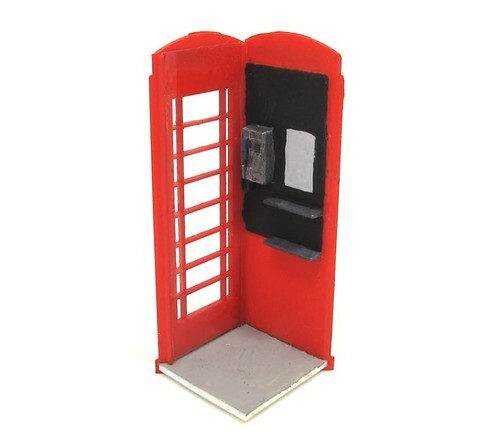 When I spotted that Peco had introduced a 7mm plastic kit for the classic K6 kiosk, I knew I was going to have to build one. 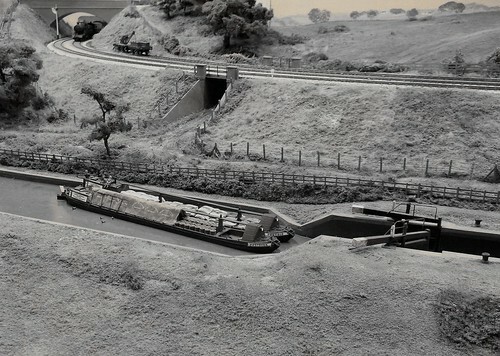 With an O gauge project on the horizon, now is the time to take the plunge. More to the point, there are two kits in the box and I'll only need one, so the first can be built for fun. First impressions are good. The mouldings are fine with commendably thin glazing bars. The door is moulded into the side so leaving it open, something that almost never happens on real boxes thanks to the strong door closer, is very difficult. I especially hate this on 4mm scale boxes from Merit where the sign is incorrectly moulded into the door. If I'm being picky, the sides don't have enough relief, the door and windows are slightly proud on the real thing and not at all proud on the kit. Work starts with a spray of Humbrol 153 Matt Insignia Red followed by a blast of satin varnish. I'd not bother for 4mm but in 7, it's nice to see a little sheen and airbrushing paint really kills any hint of this. This is then left to dry before work starts on the interior, of which more tomorrow. 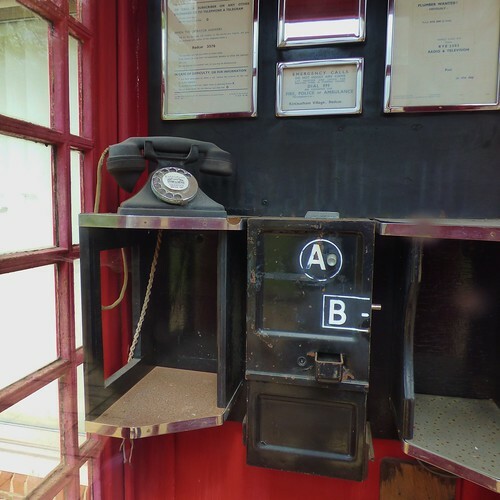 First up we have a guards telephone. It weighs a ton but the handset clips nicely in and out of its holder so I can pretend to talk to the driver. Once I tire of doing this, I can recline on some 1st (Tatty blue) and 2nd (New red) seat covers. 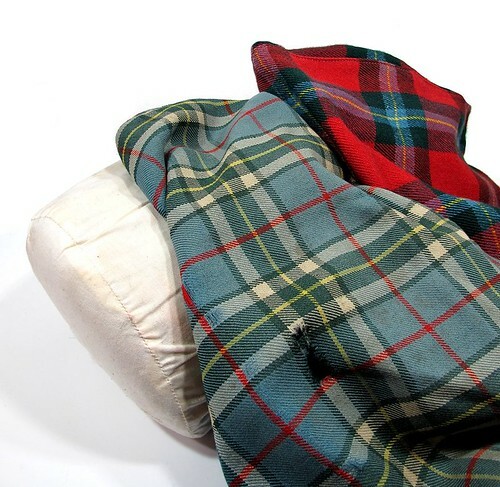 The tartan is a delight and so redolent of the period - anyone who has seen the inside of a TR7 will know what I mean. To make things even more comfortable, I have the seat cushions to fit the 2nd class covers. There are also a few more common souvenirs - bookmark, headed paper and tie - plus a couple of BR photos from the period. All this came about after I bought a destination blind from the train - these were fitted in the coach sides by the doors. The seller contacted me and said he'd more stuff in the shed, wanted to clear it out and offered me a very tempting price. I said yes, twice, and two parcels arrived a few days later. The question is, what do I want it for? Let's face it, I'm not restoring an APT-P. There's only one and I'm pretty certain it's complete. For the moment everything will go into store and not be looked at for a while. That's the problem with collecting, you tend to own more than you can display. Truth is, I don't know. For the moment I'll grab stuff on the rare occasions it turns up. At least this is the sort of collecting that involves the thrill of the chase. Quite what anyone gets from just receiving regular deliveries from a dealer of "collectibles" beats me. Long term I have ideas about converting an office chair to take the cushions and covers. A bright red tartan chair for me to pretend I'm riding an APT in would be nice as I never saw the real thing move, never mind travelled on it. Maybe I'm buying nostalgia. When I was a kid, APT-E looked like a spacecraft on rails. APT-P was the future of train travel and when I saw it on Tomorrow's World, it looked exciting. I own a bit of that excitement. Maybe I'm buying the future, just a different future to the one we got. "No you can't move the stand." That's what I was told on arrival at a show. A slight mix-up with the planning left Ruston Quays stranded in the gangway if we followed the diagram in the programme. I was supposed to be beside the BRM stand but this was as wide as the island it sat at the end of. And moving it a bit wasn't an option. Hurried calls on the radios from the organisers and a few minutes later, a site electrician was hard at work with bit of wood and cables. Result, a new spot opposite the BRM stand with electricity and an excellent view of the Bachmann stand. The location was perfect with just enough room behind for all my stuff but not too much. The layout was easy to find but not in the way. The trip to the hotel started with an amazing site - London at night from the top of the hill. Sadly it wasn't possible to stop and take photos so you'll have to trust me and enjoy the next mornings view instead. 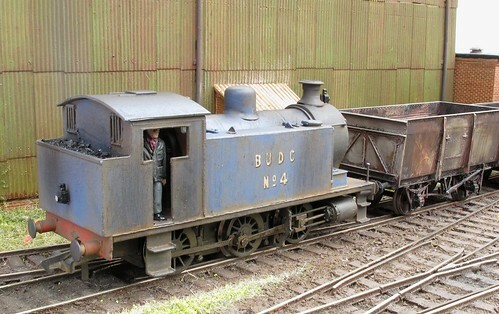 The reason I was happy to have a good view of the Bachmann stand was that they had brought along something new. Gone were the piles of returned RTR. 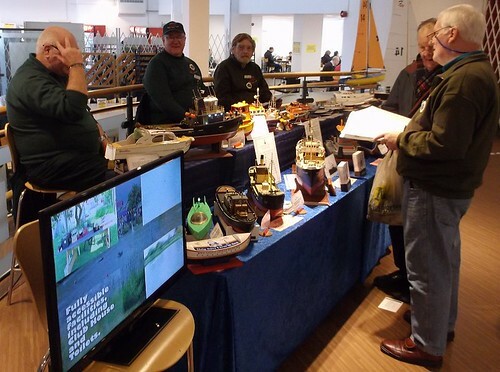 Instead we had a members lounge for the Collectors Club and demonstrations of Woodland Scenics products by staff flown in the the States. The expectation was a bit of a fuss when the first people in the door found out. As expected, the first visitors sprinted for the stand. They didn't see anything at the front and carried on around the sides. I'm told that the first person to circumnavigate the stand managed it 33 seconds after the opening. Not long after, my view was obscured by people enjoying my layout, something that didn't change all day. My only break was to appear in the lecture theatre - to talk about the layout! Day 2 started with a wait in the back of the hall as we'd all forgotten the 8:30 not 8am opening. Once in, I took the chance to have a little wander. Not that there was much to see as the layouts were still being prepared for the day. At least I managed to pick up some sandwiches, even though they contained the slimiest processed chicken ever served up. I also had the chance to renew my acquaintance with Andrew the Hedgehog who I first met at Doncaster. As a souvenir, I bought a knitted miniature which we subsequently did silliness with. The main interest from visitors was in the DCC Concepts point levers - marvelous tactile devices for working the points. Despite hundreds of people working them, they are still as good as new. Not cheap but in the opinion of many people, worth the money. After this it's Skytrex warehouses and Wills arches. Lots of, "Where did you get that?" questions. Sunday is always quieter than Saturday but after an hour I was chatting away again until my break for the theatre. Maybe a better night's sleep helped but my talk lasted about 10 minutes longer than the day before. It wasn't helped by Andy York sitting in the front row scoffing chocolate cake however! Needless to say, once I'd finished, I was straight over to the 2mm Society stand to claim a piece. 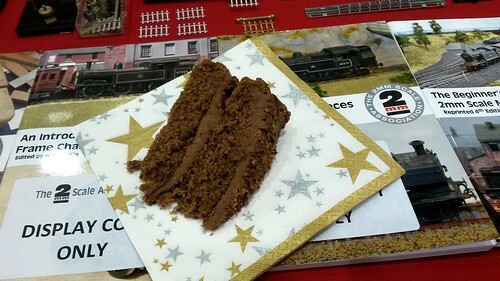 Those guys make excellent model railways and even better cake! The layout worked well with only a couple of issues: the Hornby DMU is stuttering a bit after a while. I've cleaned the wheels several times but have a horrible feeling that this is yet another loco worn out on a stand. That will be the third, although the first standard gauge one. We also have an issue with a point motor which isn't throwing perfectly in one direction - hopefully an adjustment of the wire through the tiebar will be enough to fix this. Winding down, I managed a few minutes buying stuff with some lengths of plastic for a model boat and an Airfix J94 from the Kitmaster Collectors club for a future project.Then pack up and head home and some sleep! Thanks to everyone who dropped in and said hello. I hope you enjoyed the show, from the photos I've seen it looked excellent. My paltry selection of picture on Flickr. Cameras are over-rated. What you see above is my aged Fuji AX650. I took yesterdays blog photo on it and the results, in low light, weren't half bad. Maybe not suitable for blowing up huge in a magazine, but pretty good all the same. Last weekend I found myself having to take new product photos with it. Not realising there would be so much good stuff to see I'd not bothered sticking the Canon G12 in the bag. Dept of field is a bit limited, but I've seen magazines use photos that aren't sharp all the way along. The key is to sit the camera on something solid where possible. Stick it on auto, let the focusing do the job on the nearest point to the lens and then press the shutter button smoothly. A little bit of post processing and they are good to go. One of the cardinal rules of airbrush ownership is that you MUST clean the tool out after every spray painting session. I did a little painting last week for a BRM video. We finished shooting around lunchtime and so I was faced with a choice - trip to the pub or clean the airbrush. A week later, I've finally got around to doing the cleaning. Happily, the tool proved to be easy to clean. A bit of cellulose thinners rubbed on the needle and poked down the paint cup followed by a blast of airbrush cleaner and all is shiny again. The Spraycraft airbrush seems to be every bit as easy to own as expected and doesn't do a bad job of painting too. 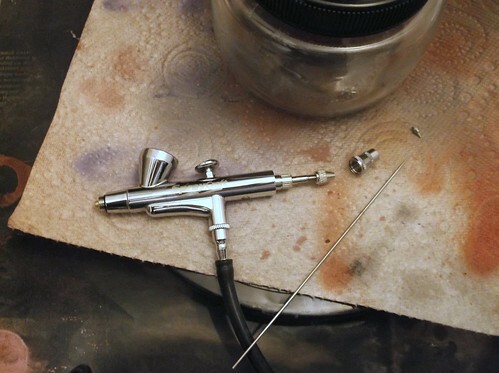 I've had the same experience with the Sparmax airbrush I received for review. This is a bit of a prima donna in the painting department as it requires paint to be thinned to homeopathic levels if you want to avoid blockages, but like a true diva when it performs it's fantastic, it too cleans easily. Both are easier than my trusty Badger 100 which ought to be easy as it's such a simple tool. Maybe the difference is the top mounted paint cup on these tools as opposed to the side mounted separate cup on the Badger. I always thought I preferred this for painting but maybe I'm wrong. Last week I looked at the remains of AP Leamington. Beside them are these modern industrial units built in the last 12 months. The simple design would appear to be easy to model. There's pretty much no fiddly detail to replicate, in fact the hardest job would be keeping your work clean and tidy as there's no chance of hiding any mistakes. 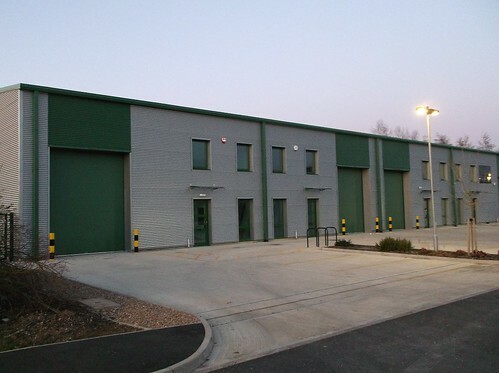 Of course, if scratchbuilding it too daunting, the new Wills industrial units look very similar indeed. Much as I love exhibiting model railways, by the end of the last day it's difficult to avoid letting your hair down a bit. Last weekend was no exception. 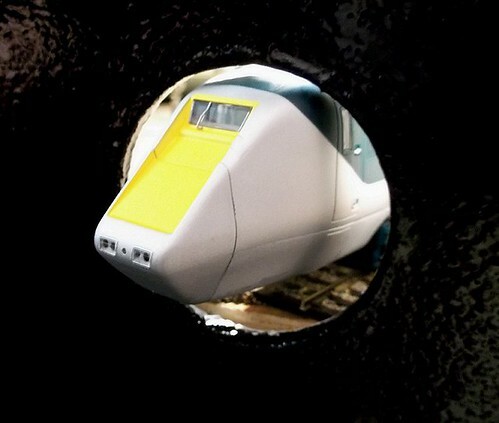 We'd borrowed a production model of the APT-E from Locomotion models and after posing it sensibly on Ruston Quays, I couldn't resist setting the nose up pointing out of the hole I made at the end of the station to stop the DMU hitting the fascia support board. If I'd had my own model, or perhaps some else's, I could have just wound the speed up and saved myself drilling a hole! If you write on a door with white ink and then heavily wash it with paint to weather said door, the ink runs. No problem, print a new sign and stick it over the old one. 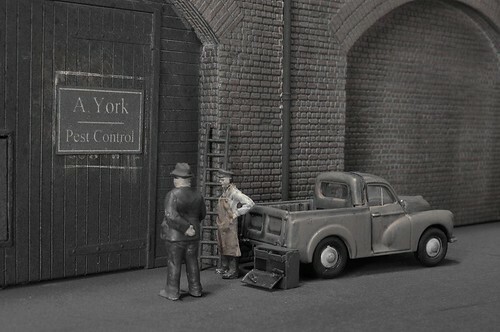 Then add figures from Priesler and Dapol, tools from Severn Models and an Oxford Diecast pickup. Better weather means more time sailing boats and one on the list to see afloat is the hull I'm working on for the Chairman's Challenge this year. 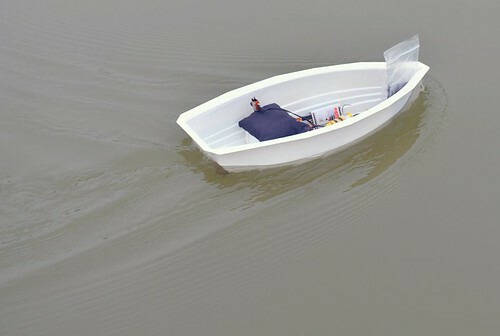 With the mechanical gubbins installed, I tested the hull in the sink and as suspected, it's very buoyant. A couple of bags of lead shot were needed to bring it down to waterline. On the water, the model sails really well. The hull is lovely and with all that weight, pretty stable even in tight turns. I could have used a smaller propeller as it needs no more than the first couple of notches on the transmitter for a sensible speed. All good anyway, now to get back to the superstructure. The weather is improving so it's time to start thinking garden railway. Handily, the Large Scale show is just around the corner from me so along we go to see what's new in the world of big trains. If I'm honest, the last few events haven't impressed me much. Were the event further than the ten minute drive away, I might not bother. The 16mm Association event in Peterborough is far larger and so if it were a distance I'd chose to do that one instead. However, this year that would have been a mistake. For a start, I'd not have seen the Hambleden Valley Railway. Actually, I would because it's at Peterborough this year but here I got it without crowds. 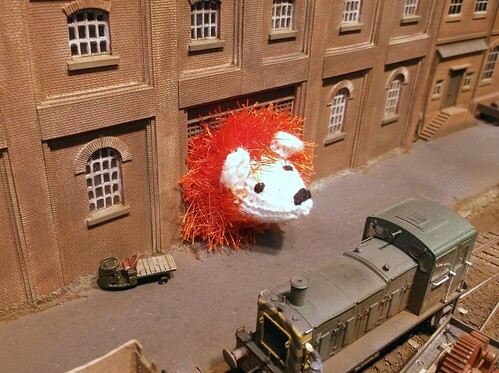 Basically, we have a very normal model railway. A branch line terminus with a loop and some sidings. In this respect the trackplan is very similar to Melbridge Dock. The big difference is that it's worked by radio controlled steam. And worked properly. Shunting is aided by Accurcaft couplings converted to automatic operation by the addition of some metallic bits hanging from the back. Magnets under in the track operate them - I have a similar setup on Ruston Quays and it's brilliant and simple. This is the first time I've seen anything like this used in G scale however. The End of the Line is another layout right up my street. Build by Giles Flavel, it's now owned by my friend Tim Crockford and I'm a little jealous. A narrow gauge line feeds a standard gauge one with coal. The little skips are dragged out and automatically tipped into the larger wagons. It's nicely modelled and weathered. Even without the operating features, you'd be impressed. 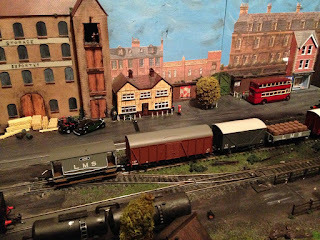 Of course, those who know the layout normally talk about the radio controlled lorry rather than the trains. Very well done, the vehicle operates at a realistic speed and can reverse under a conveyor belt for loading before being driven off scene. All this takes place in a space around 10 feet long. Rather longer is the Charnwood Forest Branch. 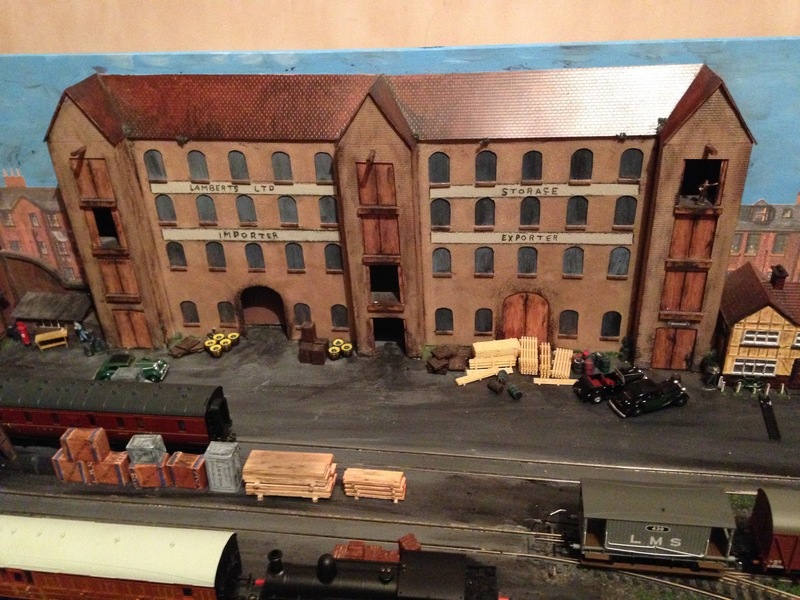 A cracking O gauge model over 30 feet in length and U shaped so you have around 70 feet of track. There's two stations and two shunting yards - plenty to occupy the operators. If I'm being pedantic, the buildings look a bit orange to me BUT the modelling is of a consistent high standard so this really isn't a problem. And best of all, the first ice cream of the year from the van parked outside! Photos on Flickr from the show. 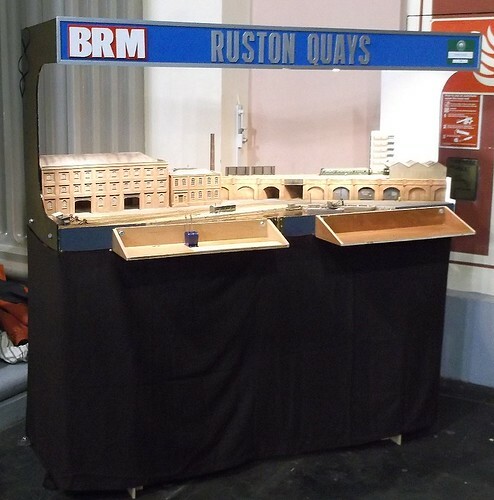 Today I'm packing up Ruston Quays for our trip down to the London Festival of Railway Modelling. Driving in the capital is one of my least favourite occupations but needs must. If I go down the M1, it reduces the time spent on the North Circular. Well, that's the plan anyway. 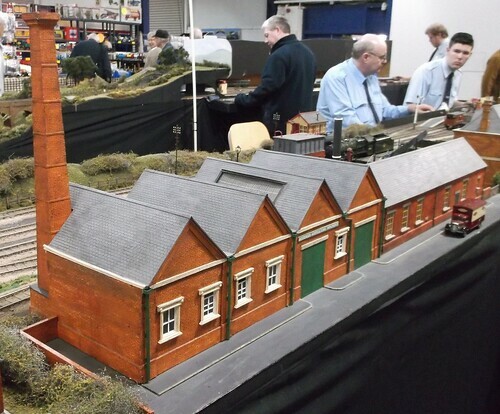 As well as showing the layout, I'll be in the lecture theatre at 2pm on Saturday and 12 noon on Sunday. 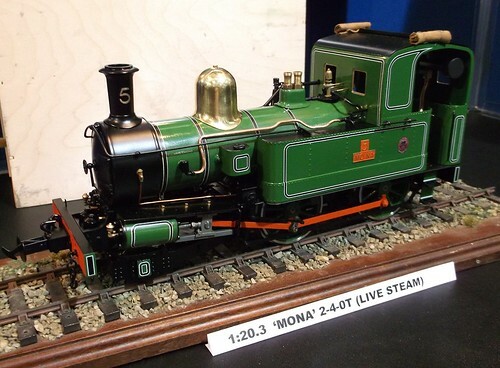 London Festival of Railway Modelling website. Please note that all exhibitors present during Friday set up and on Sunday break down, effectively during the period when vehicles are present in the hall, will be required to wear hi-vi jackets. Mentioning this to a friend brought a huffing "Health & Safety gone mad" response, however I beg to differ. If you have ever driven a van in a confined area (something my friend has never done) then you'll know the challenges involved in maneuvering a 2 ton vehicle around while not squashing anyone, or demolishing a stand. It's bad enough when those driving are the sort of stand setup worked who live in a transit. For us lot you've the added danger of people who hire a van a couple of times a year and don't get the same sort of practise. So, the regulation may be aimed at "normal" stand setup staff but it's even more appropriate for us. Especially since "us" includes people who will nip in between a moving van and stand assuming that are immune from being squashed. As a driver, I'd like them to clearly visible, it gives me half a chance. I'd expect this rule to spread to any venue where people and vehicles mix in close confinement. I wouldn't be surprised to see the NEC implement it for a start. 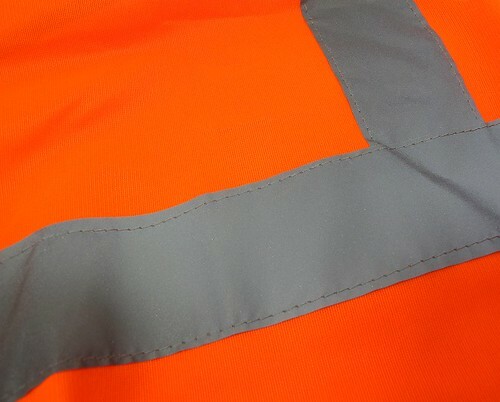 Anyway, I already own a fluorescent yellow jacket but it's a bit bulky to wear when assembling a layout (ideal for waiting for the RAC though) so £6.99 from my local workwear shop bought me a tabard in orange and reflective. For cheapskates, I'm told that Lidl are selling something similar for a couple of quid. If it avoids squishing, money well spent. 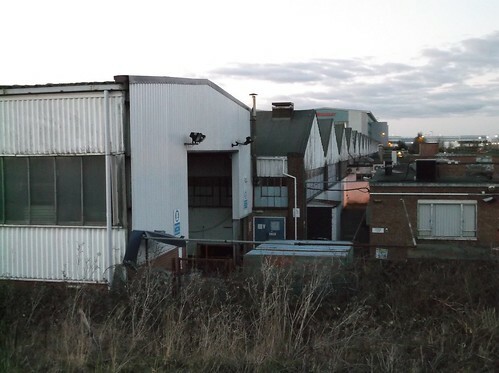 Once upon a time, Automotive Products was the largest employer in Leamington Spa. My dad worked there and I remember in the 1990s collecting him from work occasionally on Friday when the crowds would emerge. Thousands of people exiting on foot and by bicycle with a few cars. There were those who lived far enough away to drive but they had to wait for the pedestrians as the mob was too thick to push through. A few wives would collect their husbands but generally parked outside the gates and transferred to the passenger seat for the trip home. All that has long gone, apart from one large stores area tucked behind the massive Woolsey warehouses that now occupy the main site. These have been around as long as I can remember and I'd guess they date from the 1950s or earlier. The factory existed in the war and I think enjoyed camouflaged roof painting. Compared to modern buildings, there's a lot of brickwork in evidence. The site has an air of evolving rather than being designed in one go - hardly surprising considering the length of time it existed. I have a plastic box full of figures. Some are new but others have been rescued from old models or even bought in odd boxes of second hand stuff. The man above is an Airfix figure and as you can see, the paint was peeling off him. No matter, a quick daub with enamel and he's good enough to stand on the layout. I know he looks a bit crude but you are seeing him many times life size. And yes I know the paint has peeled off his shoe. It did than when I removed him from the painting stick he was superglued to. So, don't throw away those plastic or whitemetal people, they can always be saved. I was wondering exactly which paint make and shade you used for the RSH sidetank? The shade when weathered is just right for one of the NCBs Cumberland area locos. It's Humbrol 25 - Matt blue. Sprayed over a grey primer base courtesy of Halfords. I think the trick is not to spray the blue too thickly so the grey tones it down. Add a dose of filth (mostly Track Colour) first sprayed then wiped away and then sprayed again and the colour isn't bad. 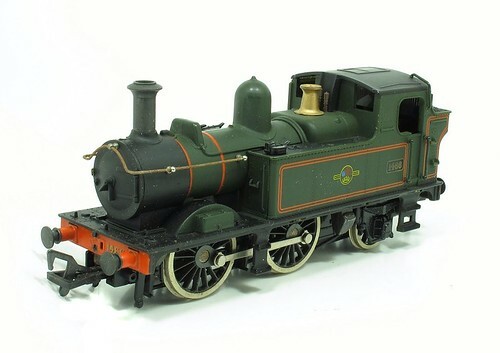 This is an Airfix 1400 ex-GWR tank in BR livery. As you can see, it's dust and rusty. The box has a badly torn window. I bought it a year or so ago for £12. Last weekend, I tried to sell it. 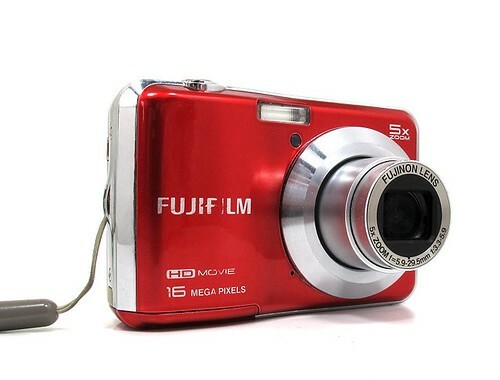 For £12. Now you might reasonably conclude that for £12 there is probably something wrong with it. Ramsay's Guide values it at £30 although that's likely to drop once the Hattons/DJM version appears. Anyway, I did sell the loco. To someone who deals in second hand model railways. He didn't ask anything about it, just paid up and left. This is odd as everyone else buying a loco asked if it works and was treated to the model doing a turn on the test track we had along the back of the stand. We gave advice and sometimes talked people out of purchases if they were likely to be unsuitable. Hornby Dublo coupling fitted wagons do not work on a youngsters train set and we don't want them to be disappointed. Likewise, an early Triang train set might look on the face of it like a good deal but it is early, and even though the loco works you're going to have to stick to Super 4 track. As for DCC, forget it. I don't think anything we had was even DCC ready, although the loco model shop offers a fitting service for those scared of soldering chips in and since he had a stand, we happily pointed people in that direction if they were umming and ahhing over a purchase. Anyway, in the middle of the afternoon, the buyer returns and angrily tells us that the loco is faulty. He's tried it and while the motor runs, the wheels don't work. True I say, there is a problem with the wheels . They do rotate but I have a feeling someone has taken them off at some point and not put them back on properly. I could fix it but don't need the model, hence it's appearance on the stand priced at a couple of quid more than made up static Airfix loco kits. Even the motors sell for at least a fiver. "It's not fit for purpose!" I was told. "It depends what the purpose is." I reply. Which is true. Stick it in a siding and it's perfectly good scenic feature. You'd pay for a "proper" scenic item. You'd even pay more for one of those badly cast lumps of coal sold as souvenirs. "Also, as the signs say, everything is Sold as Seen." I point out. Sadly, there is more demanding and threats to "take this further" so I took I returned the money from my wallet rather than taking it back out of the cash box. Returned in the sense of chucking the stuff at him. I'm not proud of that but nor do I like being shouted at. A complaint was duly made to the exhibition manager about me. If there is nothing to say a loco is a runner, assume initially it isn't. Most of ours were, but to varying degrees of effect. Some needed a service, others were perfect. We had customers who enjoy repairing locos and are happy to buy less than perfect - it's their hobby. Ask questions - "Does this run?" is the popular and pertinent one. If there is a test track, ask to see the model run on it. We happily ran stuff even if someone was only half-serious about buying. If the stallholder won't try it then there is definitely something wrong and you need to adjust the amount you are willing to pay accordingly. Examine the model. Take it out of the box and have a good look. If it's a kit, have a good look inside the box but be careful. Stallholders don't appreciate someone upending the parts all over the table. There are bargains to be had. I have an HO Shay that I knew was faulty but since it was cheap, I risked the money. Taking it to bits, the universal joint was loose on the motor shaft. A drop of superglue later, I have a working, if scruffy, Shay probably worth 3 times what I paid for it. After several years at Stoneleigh Park, the owners decided we were no longer welcome, presumably they preferred the empty hall, so we headed back into town with the first show at Mid Warwickshire College. 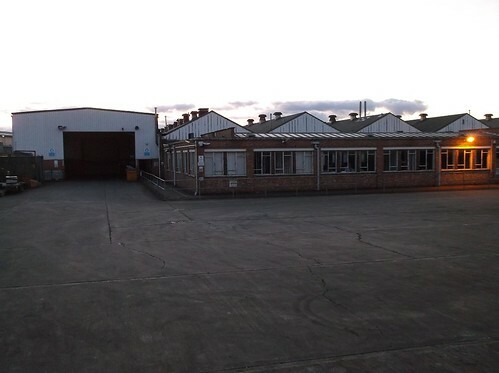 The building has recently undergone a massive re-fit and they are keen to rent it out. We were there first hirer's. As a show venue, it's a lot more complicated than the vast square box we've enjoyed over the last few years, but thanks to some excellent planning by Nick, everything fitted in pretty well. No-one found a pillar in the middle of their layout and we even made good use of the numerous curved spaces. One such space was in the foyer, a round room with an open segment. You can't fit layouts in there but it is absolutely perfect for the second hand stall. And that's where I stayed pretty much all weekend. As such, I can't really give you a proper report on the show. I did spend time with Charles Insley in the Narrow Gauge lounge - we'd grouped layouts where possible - where we talked unusual model locos. He'd got a couple of very nice 3D printed models that didn't look 3D printed at all. On the layout were a couple of the Bachmann USA models from their Thomas range. 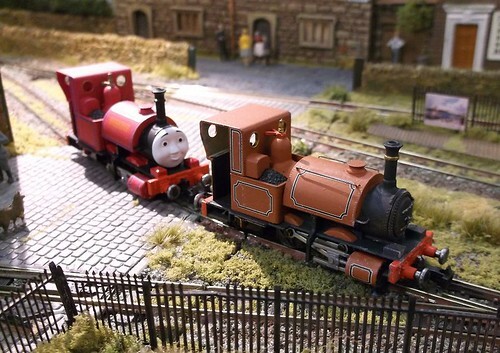 More specifically, a Skarloey which Charles had de-faced and turned back in to Talyllyn. It looks great and runs well. Proper RTR 009. Sadly, the terms of the Thomas licence held by Hornby means these models can't be officially imported into this country, even if they were factory de-faced. The only layout I had a proper look at was also narrow gauge. This time a tiny moving diorama set in a Dickensian town. There was much detail to spot and a very helpful paddle with all the information you needed to work out which building belonged to which story. Another curved area was given over to the model boat club and they put on an excellent display of models. These were popular with the visitors, it's nice that not everyone is too blinkered and can just enjoy good modelling. Sales on our stand were brisk. RTR models were selling, although the Hornby Dublo and Trix didn't shift. What we did sell were wagon kits. A couple of members took the opportunity to clear collections and despite insisting on a maximum of 20 items per person to avoid becoming overloaded, we let them stick in an extra box half way through Saturday to fill the table up again. If you came to the show, I hope you enjoyed it. Thanks to all those who stopped for a chat. The Hornby model of the Advanced Passenger Train, strictly speaking an APT-P, was launched in 1980. Designed in conjunction with British Rail, it unfortunately enjoyed a rather more reliable tilt system than the real train. The demise of the prototype 5 years after the model launched led to a limited sales life with the final batch being produced in 1984. Despite this, the model has always been popular on the second hand market. If you want a set, then many sellers on eBay will be able to furnish you with one for less then a price of a modern RTR big diesel. What you get is a rather basic model. Admittedly the APT wasn't bristling with surface detail but current day modellers will I suspect be unimpressed by what is a very 80s Hornby production. Had the plan to produce a quick re-run a few years ago come to fruition, I suspect the forums would have been full of frothing demanding a few (read: complete redesign but sold at 80s prices) changes to the moldings. With the immanent arrival of Rapido's APT-E, I'm sure we'll see the two models together and I have a feeling that the 35 year gap between them will be very obvious. However, with a Blue Pullman costing over £500, how much would people be willing to pay for an APT to more modern standards? Digging around the back of a cupboard this week, I found a little bridge. 10cm long, just over 6cm wide and 3cm tall. Made of plaster. 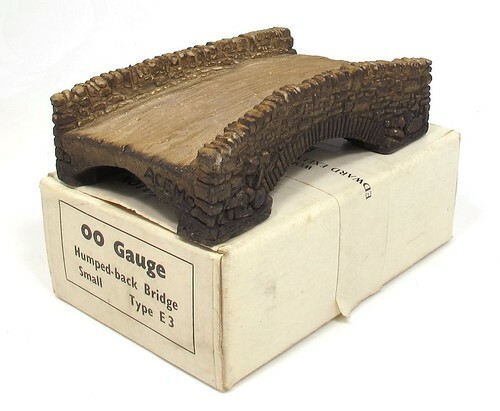 Hump-back bridge Small is a A.C.E.M. Product manufactured in Nottingham. A little web searching tells me very little more about them other than the range included tunnel mouths, retaining walls and dry stone walling. According to the box, the world distributors are none other than Edward Exley of Baslow, Derbyshire. They were in good company with the (for the time) well reguarded coaches produced by the same firm. Supplied ready to plonk, the colouring has an indefinable "oldness" about it. Maybe the colour just looks like something out of an old magazine. 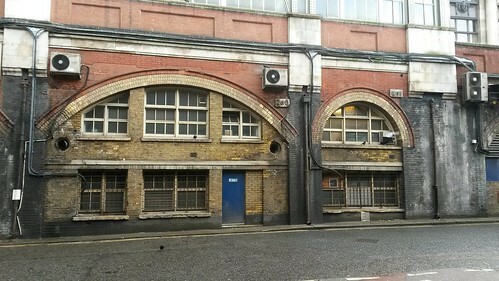 Underneath Waterloo station in London, a few feet from The Hole in the Wall pub, are some arches supporting the station approach road. This being London, no opportunity has been missed to use these as rentable business space. The moment I spotted this scene, I knew it was worth an appearance on the blog. At least 3 different types of brick - blue, red and London yellow, stonework, cables, ducts and loads of dirt. Everything you could want in a small space. Well, everything you could want as an enthusiast of grotty working buildings. I couldn't see what goes on underneath the arches unfortunately, but if you fancy a virtual walk around, here's the link to Google Streetview. Leave me in charge of a second hand stall for a weekend at an exhibition and you can be sure some of the sales will be to me. This year I got away pretty lightly. Dart Castings letter boxes. I needed one of these in a hurry recently and am sure I have at least one in the collection of whitemetal bits. Could I find it? Of course not so £1.50 well spent. Fox Transfers D Numbersets for selection of English Electric Type 4 Locos. Didn't know they were for Peaks when I bought them and there is one number missing, but for a quid, well worth squirrelling away into the transfers folder. Lithoplan Model Products BR Timetables & Signs. 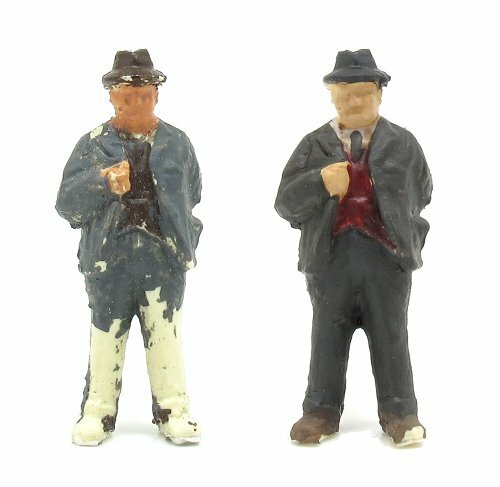 Never heard of Lithoplan Model Products and these look a little crude, but for 50p, if I need to finish a 1970s station model then I'm sorted. For timetables, toilet signs and platform numbers anyway. 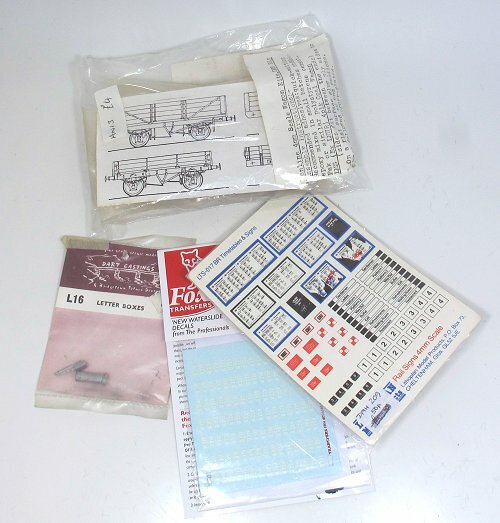 Kenline 4mm scale wagon kits. 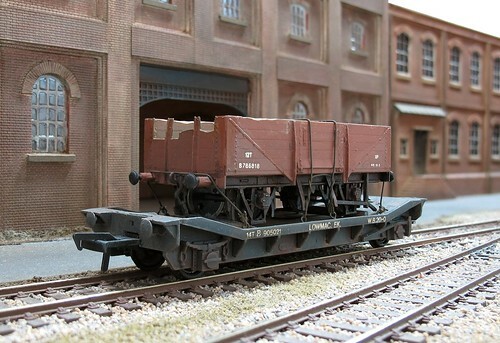 Two 4 plank LMS wagons for £4. Kenline kits fascinate me as the bodies are made of pre-cut plywood. Metalwork is whitemetal castings suplimented by pre-riveted plastic strips. It's all a bit crude by today's standards but with a bit of care, perfectly presentable layout wagons can be produced. More to the point, they are interesting to build. So, more bits to add to the pile that to any sensible person already looks too large. On the other hand, a stash of materials is pretty much essential for me and while I can ignore the pile of old RTR, the little packets are pretty irresistible. 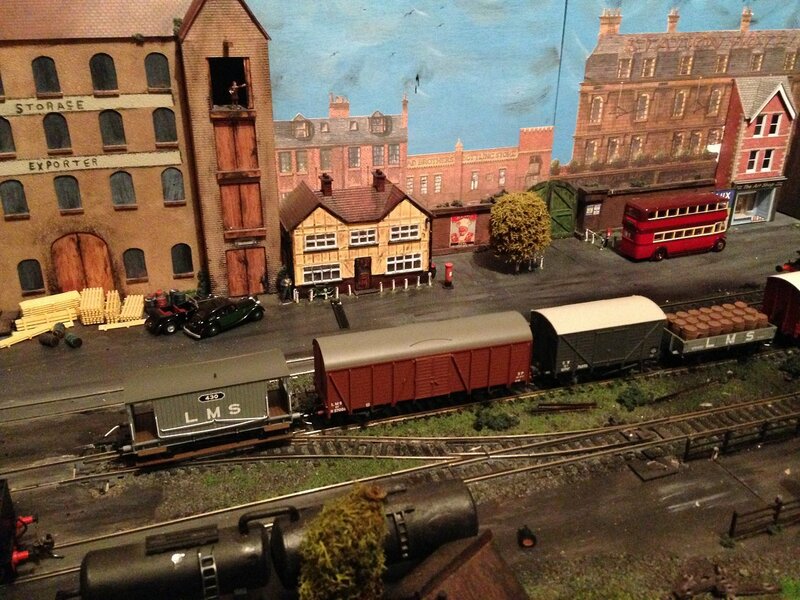 Mike Hunter bought this layout from eBay and the builder has obviously been influenced by our layout big time. He's also picked up on our green, curved top gates straddling the baseboard joint. On behalf of MREmag, Tuesday saw me take a trip down to London for the Bachmann product announcements for 2016. I've covered this over on MREmag so if you want details of the new goodies, head over there. Now, I know what you are thinking. "I bet all the money I spend on model railways goes to fund a great big shindig for the press and their mates." Well, rest easy. The only refreshments provided were tea, coffee and hot chocolate from a vending machine - and there wasn't any tea to be had by time I got to it as Mr York had finished up the milk - and biscuits. 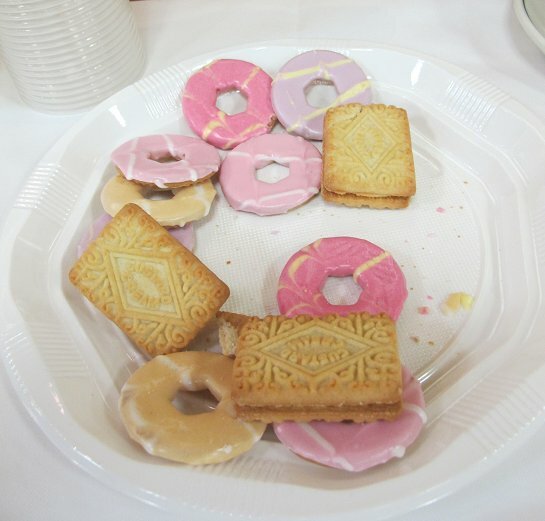 Yes, I know there are party rings but most of the plates were plainer fare. Not a chocolate biscuit to be had. I didn't think journalism was like this. 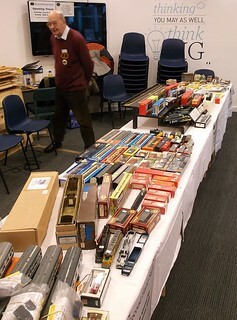 While the event was all about the model railways, Bachmann's recent acquisition of the PocketBond group also played a part. This wasn't just a press event, the real focus was on the retailers. The company likes to look after them, after all they are the shop window - literally! So, a couple of displays showing the vast array of Pocketbond items on offer were provided. Most eye-catching to me was the massive plastic kit of HMS Hood. It must be over a metre long and yet costs only £299. OK, not the same as a five bob Spitfire of 1960s Airfix fame, but not bad for such a large and detailed model. Designed as a static model, I can't see any difficulty fitting radio control inside. Arranging access to the insides might be fun but no worse than any other battle ship. If I were Deans Marine, I'd be keeping an eye on the range.